Voices of little girls echoed in the living room, sounding more like competition to beat each other’s scores over a Play Station game than preparing to bake cupcakes. But when a mum came into the room and told them they were about to start, they immediately dropped the gadget and zoomed into the kitchen like Flash would race to the end of the universe. The eight girls, all third graders from the International School Manila (ISM), belong to the Girl Scouts team. About once or twice a month, they, together with lead and assistant parents, participate in fun activities together, which promote friendship, teamwork, and discipline, to name a few. And for this Wednesday afternoon, making cupcakes was on the agenda. 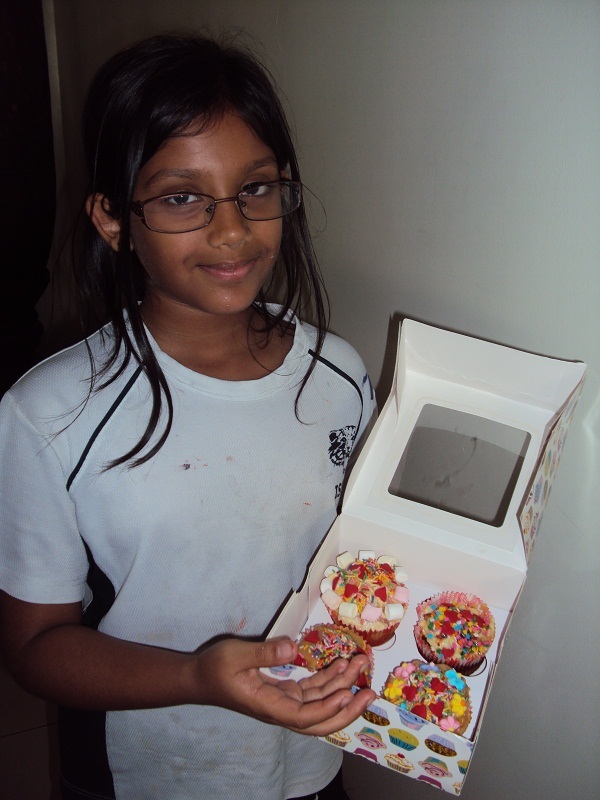 Anette, the mum-team leader, organised the girls by dividing them into two groups: one to make the chocolate cupcakes, while the other to bake the vanilla cupcakes. Thereafter, each group was given all the ingredients, and told to follow the directions carefully. 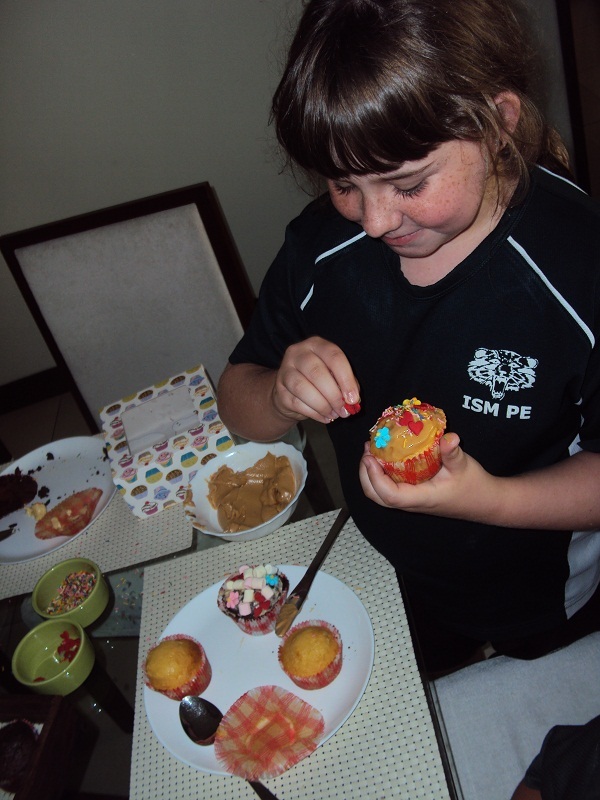 As the cupcakes transform in the oven, each girl paraded to the dining room to prepare their cupcake boxes. They chatted away about their art class, their families, and how much they can nick from the plates of marshmallows, sprinkles and other sweets on the table for designing their cakes. Once or twice, some girls would sneak into the kitchen to check on their treats. Half an hour later, one girl, who checked on the cake, ran into the dining room and sounded more like an eyewitness to the resurrection, excitedly declared, “C’mon and look! They’ve risen!” Everyone got on their feet and followed the enticing smell emanating from the kitchen; shouts of “awesome!” reverberated across the walls. When the cakes cooled, the girls gingerly carried the cupcake tins into the dining room for everyone to gaze on the product of their work and feast on them later on. Next came the decorating part. Each girl poured on the sweet gems expressing their creativity and personality on each cake design. 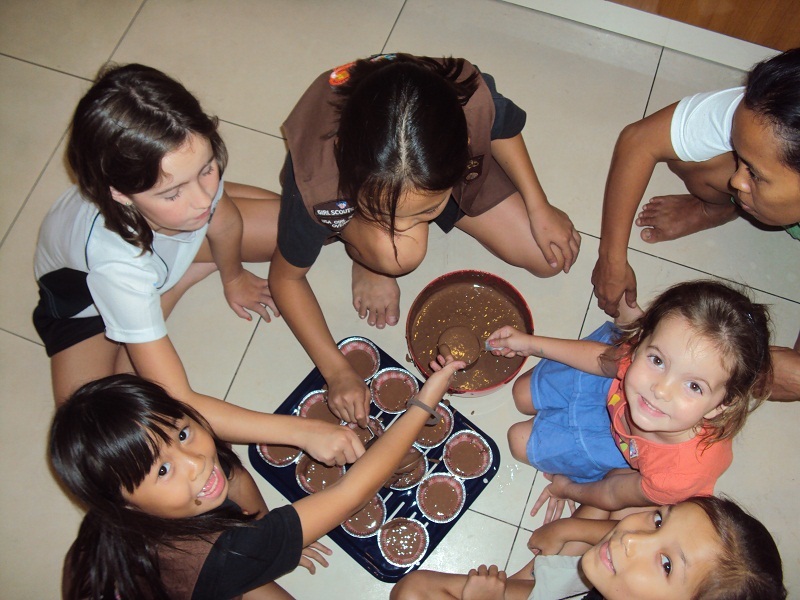 As they continue to engage themselves in their discussions, all the while designing their cakes, little did the girls know that from the fun and simple activity, they were moulding their own character and self-esteem, and teaching themselves to relate with others. And I guess Lady Agnes Baden-Powell and Juliette Gordon Low would be very proud of them and would give them a tap on the shoulder for a job well done! This entry was posted in Blog, Guest Contributor, Social Peace by hannahrenglich. Bookmark the permalink.